Today concludes our Emerald Tour of Ireland, and was a day of “free time” for our group. Some of us included a visit to the Dublin Castle, because here the Chester Beatty Library is located. Among the interesting collections there are some of the very earliest New Testament texts, dating to c.AD 200. 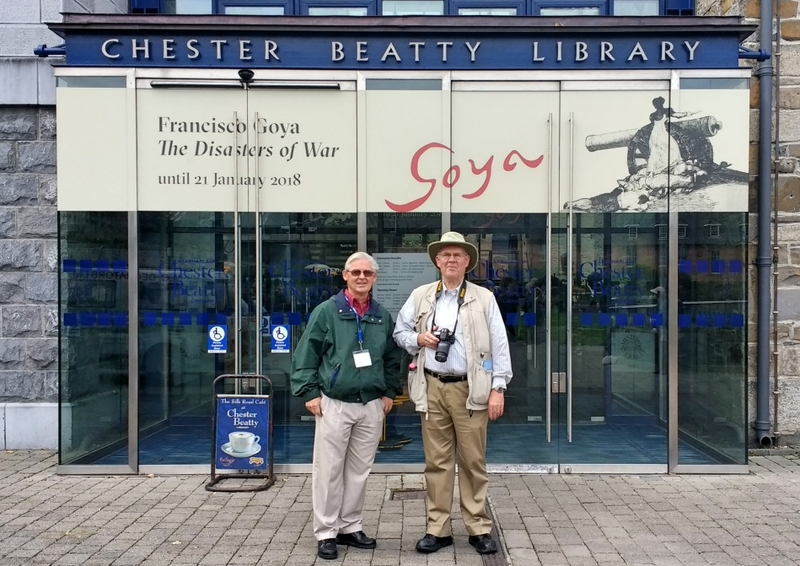 Johnny Felker & Leon Mauldin at Chester Beatty Library. Photo by Martha Felker. Photos are not permitted inside the exhibition. There are three New Testament manuscripts that are part of the Chester Beatty Papyri. The first, P. I, is labeled under the Gregory-Aland numbering system as P45 and was originally a codex of 110 leaves that contained the four canonical gospels and Acts. 30 fragmentary leaves remain, consisting of two small leaves of the Gospel of Matthew chapters 20/21 and 25/26, portions of the Gospel of Mark chapters 4-9, 11-12, portions of the Gospel of Luke 6-7, 9-14, portions of the Gospel of John 4-5, 10-11, and portion of the Acts of the Apostles 4-17. The ordering of the gospels follows the Western tradition, Matthew, John, Luke, Mark, Acts. These fragments are palaeographically dated to the first half of the 3rd century. P46 is the second New Testament manuscript in the Chester Beatty collection (P. II), and was a codex that contained the Pauline Epistles dating c. 200. What remains today of the manuscript is roughly 85 out of 104 leaves consisting of Romans chapters 5-6, 8-15, all of Hebrews, Ephesians, Galatians, Philippians, Colossians, virtually all of 1–2 Corinthians and 1 Thessalonians 1-2, 5. The leaves have partially deteriorated, resulting in the loss of some lines at the bottom of each folio. The manuscript split up between the Chester Beatty Library and the University of Michigan. Scholars do not believe the Pastoral epistles were included originally in the codex, based on the amount of space required in the missing leaves; they conclude 2 Thessalonians would have occupied the final portion of the codex. The inclusion of Hebrews, a book that was questioned canonically and not considered authored by Paul, is notable. The placement of it following Romans is unique against most other witnesses, as is the ordering of Galatians following Ephesians. P. III is the last New Testament manuscript, P47, and contains 10 leaves from the Book of Revelation, chapters 9-17. This manuscript also dates to the 3rd century, and Kenyon describes the handwriting as being rough (Wikipedia). It’s been a great tour. 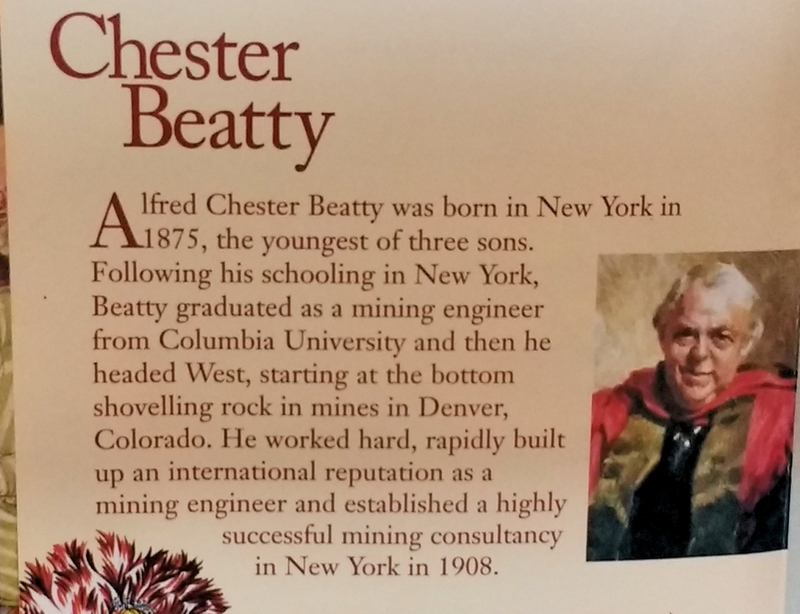 From the Chester Beatty Library Brochure.